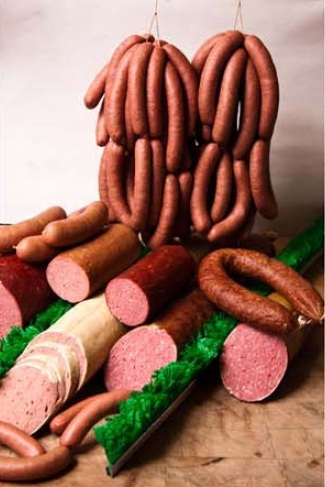 Since 1945, Jacobs Meat Market has been making the best sausage in the Fox Cities! We not only take pride in our sausages, but we take pride in our customer service and quality fresh-cut meats that we provide to our customers. Along with our German-style sausages, you'll find we also have top quality fresh cuts of USDA Beef, Pork, Lamb and Poultry. Come on in and check the quality out for yourself and you'll see what you've been missing! We have a newly-remodeled store that we want to show off to you! Unfortunately, we don't ship our products.